As you walk up Allen Street to check out the ArtsFest vendors and round the corner onto Fairmount Avenue, one tent looks different than the rest. Instead of a table covered with artisanal goods, there's a group of kids selling lemonade, advertising their product with the usual posters covered in marker. 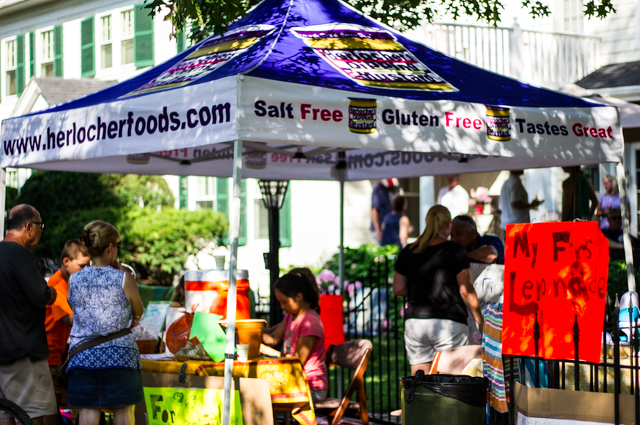 And while lemonade stands are typically a good way for kids to earn some money on their own, this stand has been donating 100 percent of proceeds to charity for eight years now. "The first year, my son just wanted a lemonade stand, and we donated to his pre-school and the Youth Services Bureau," Sharon Herlocher says. "After that, we raised money for a friend with prophyria for a few years." The cause has changed from one year to the next in order to help out those most in need. Herlocher says it comes full circle when those who were assisted come back to work the stand and help raise money for the next cause in line. "We have kids from all of our friends who come and take turns working the stand, and the dad of some of the little girls who help out had a stroke, so we raised money for them one year," she says. "They've been back working every day this year." The lemonade stand is raising money to benefit Schlow Library this year in the wake of its flooding issues, which unfortunately destroyed a lot of books in the facility. Zack Paterno is one of the kids helping man the stand and quench the thirst of festival-goers, and he thinks the cause is an important one. "We're raising money for charity," Paterno says. "There was a flood in Schlow Library and it ruined some of their books so we're raising money so they can get their books back. People need to read and if they can't read they don't learn. I like to read because it helps you learn and it's fun." Herlocher says that Schlow brings plenty to the citizens of State College, so she's happy to help raise money and give back to the town library. "We all were excited about the summer reading program at Schlow," she says. "We love how when you walk around ArtsFest, the pictures take you different places and books take you different places, so it's been very exciting for everybody to do this." And as an added bonus, the children working the stand are learning an important life lesson. "These guys are all learning how to run a business and they're having a great time doing it too," Herlocher says. "Most of their work is paid in cookies." 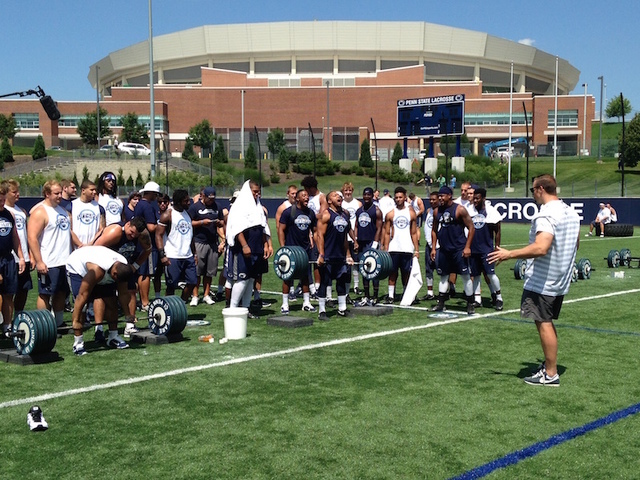 Penn State football players didn't let the hot turf and the warm weather get in the way of a good cause on Saturday, as they competed in the program's annual Lift For Life event.